This the First Cookbook That You Can Actually Cook—Into a Yummy Lasagna! 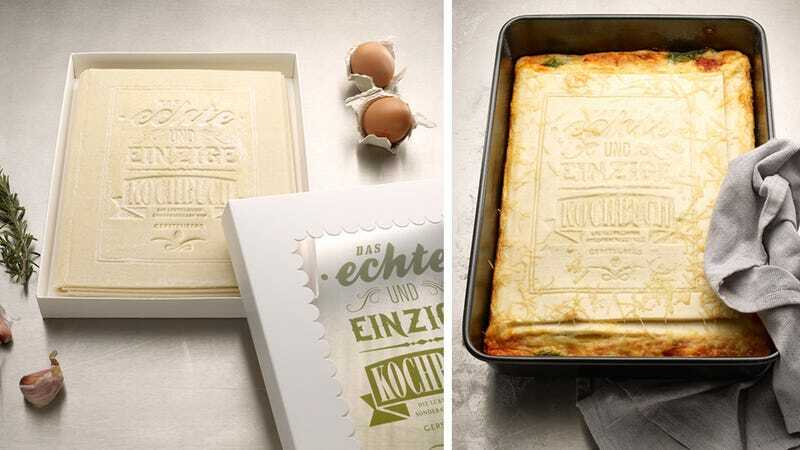 This is the first edible cookbook in the world. It's such a great idea! A cookbook that you can actually cook and eat! One that ends as a lasagna! Can the world get any better? CAN IT? No, no it can't.